THE STORY of Joshua A. Norton, aka Emperor Norton I of the United States, is offered as historical entertainment here in two parts, today and tomorrow. You are free to identify any parallels (or differences) you like with the life of Donald J. Trump. I stress that, not unlike many Trumpian claims, some of the following may not be true. But there’s enough substantiated fact to make for a fabulous tale. Joshua Abraham Norton, c. 1818–1880, British-born American, self-proclaimed Emperor Norton I of the United States from September 17, 1859 until his death, recognized by contemporaries as a harmless lunatic. Image from www.emperorsbridge.org, to my knowledge, the best documented source. Upon deaths of his mother, in 1848, and father, in 1849, Joshua came to America to make his fortune. 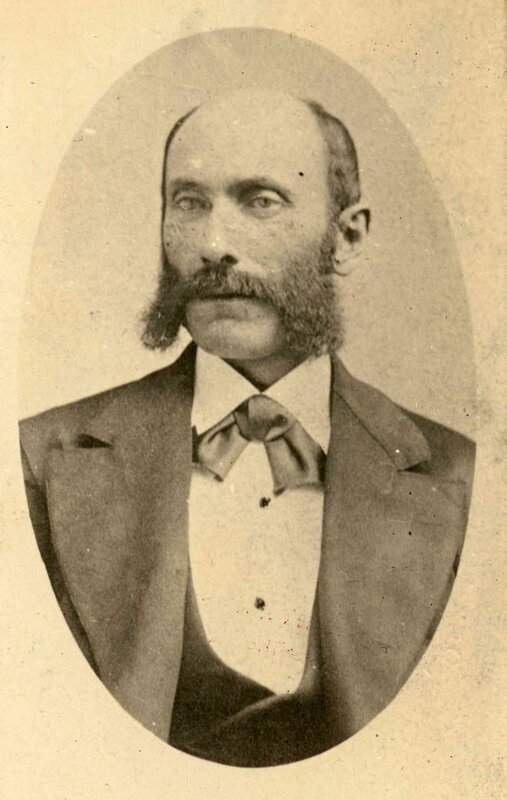 He arrived in San Francisco in 1849, just in time to take advantage of the California Forty-Niner Gold Rush. 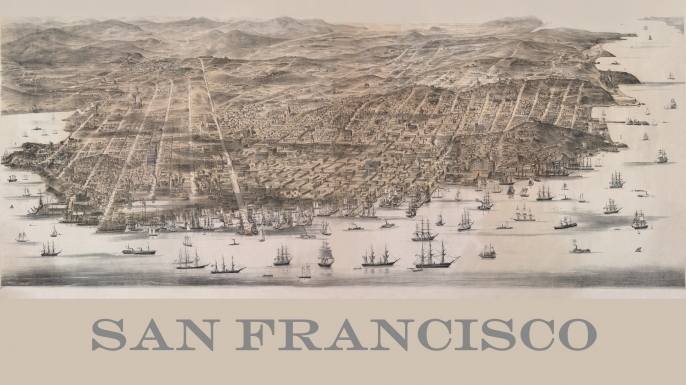 San Francisco, c. 1849. Image from www.history.com. 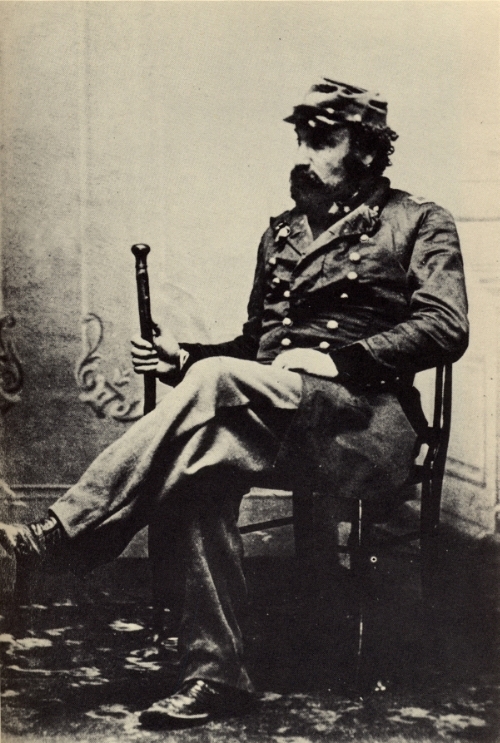 Joshua Norton, c. 1851. 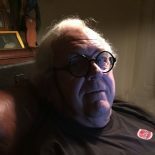 Image from www.emperorsbridge.org. In 1852, a Chinese famine caused a ban to be placed on its export of rice. What with scads of Chinese immigrants in the western U.S., Norton figured he could exploit a coming food shortage and bought up a Peruvian shipment of 200,000 lbs. of rice, at around 12.5¢/lb. However, several other ships carrying Peruvian rice beat Norton’s shipment to San Francisco, and the price of rice plummeted to 3¢/lb. Norton tried to stiff the deal with protracted litigation. The case made it to the Supreme Court of California, where Norton lost, big time. He filed for bankruptcy and, by 1858, was living in a working-class Kearney Street boarding house. Pause here for some schadenfreude? I had a friend/acquaintance/it’s complicated who moved as a child from England to Rhodesia (now Zimbabwe) in the same way the Norton’s moved to South Africa about 140 years prior. Some interesting stories there. This entry was posted on December 7, 2017 by simanaitissays in And Furthermore... and tagged Joshua A. Norton Emperor of the United States.